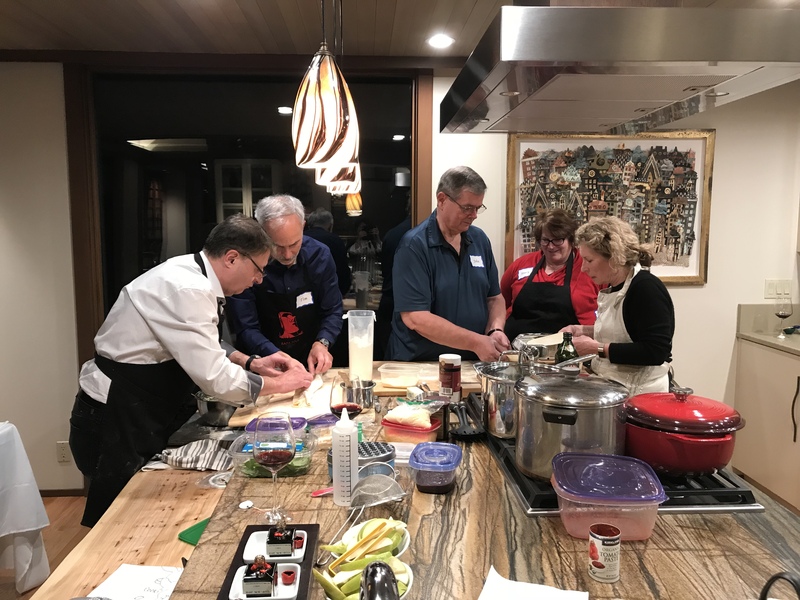 Meeting new people, cooking together and doing it for a good cause is a recipe for a great time! 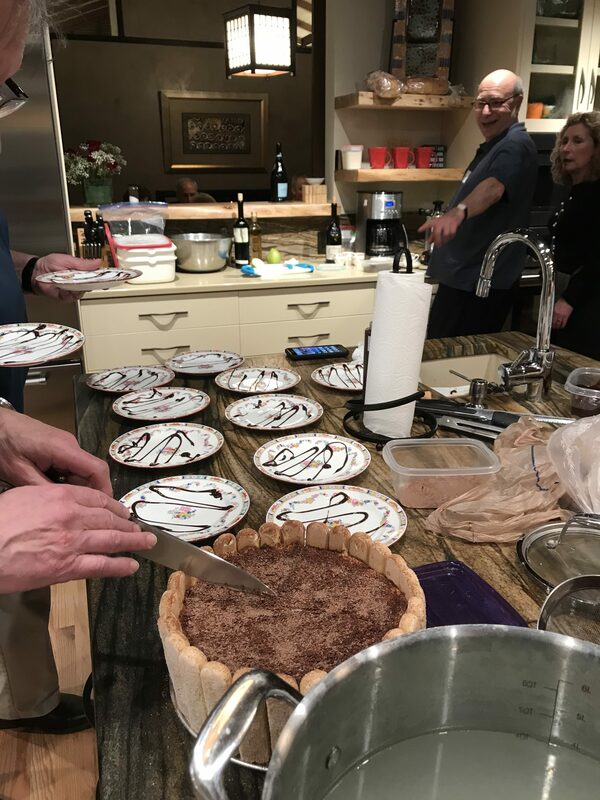 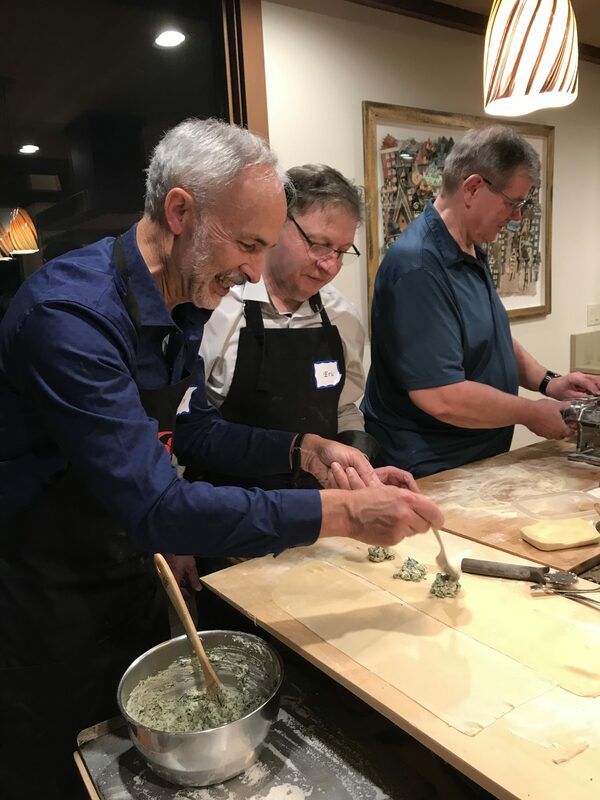 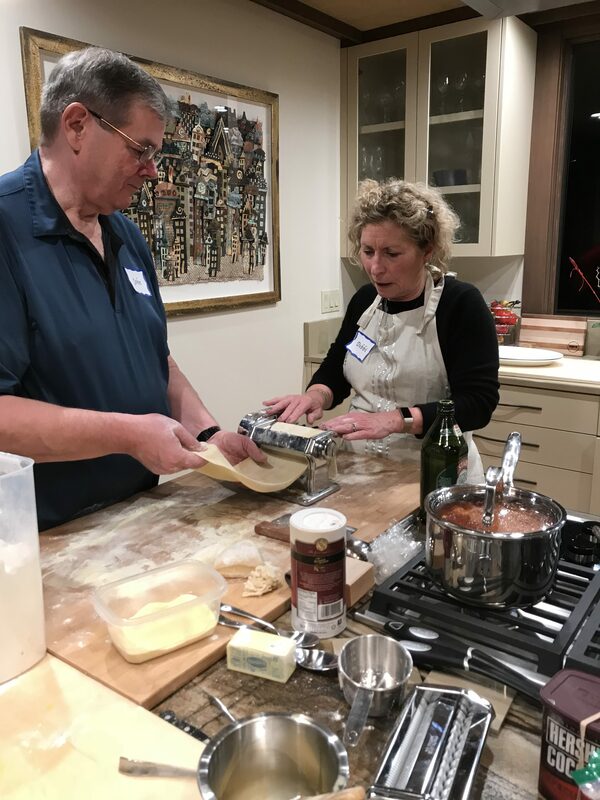 We recently participated in a cooking class to benefit the Mercer Island Women’s Club group of charities, where Eric had everyone making fresh ricotta cheese filled Ravioli, homemade tomato sauce, pear and walnut salad with imported olive oil and aged balsamic vinegar, homemade pizza bread, and finally we finished off with Tiramisu and espresso! 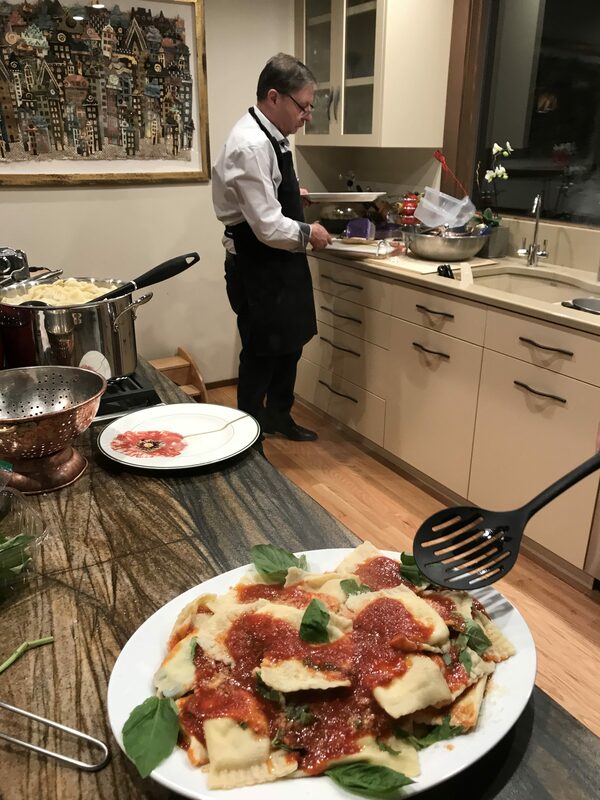 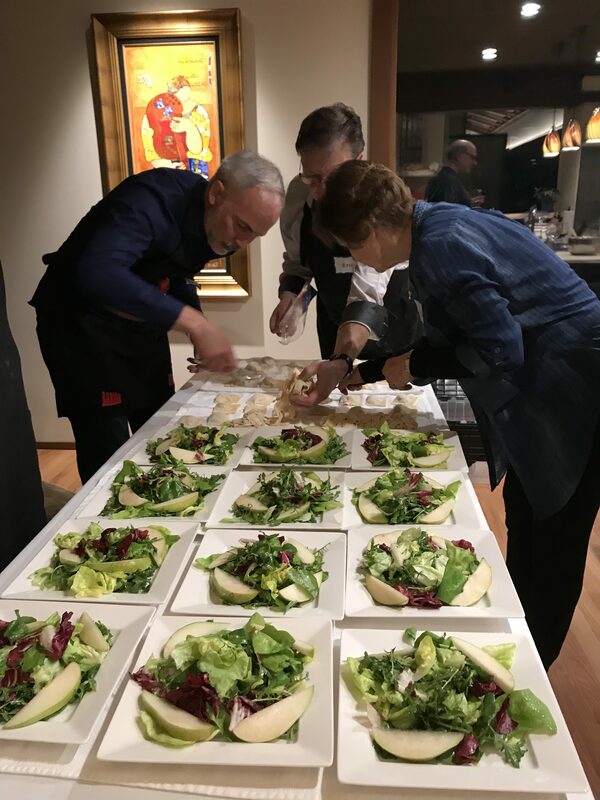 Our hosts were Debbi Conger and Marty Afromowitz, who provided the beautiful antipasto, bubbly, Italian reds and a stellar chefs kitchen!